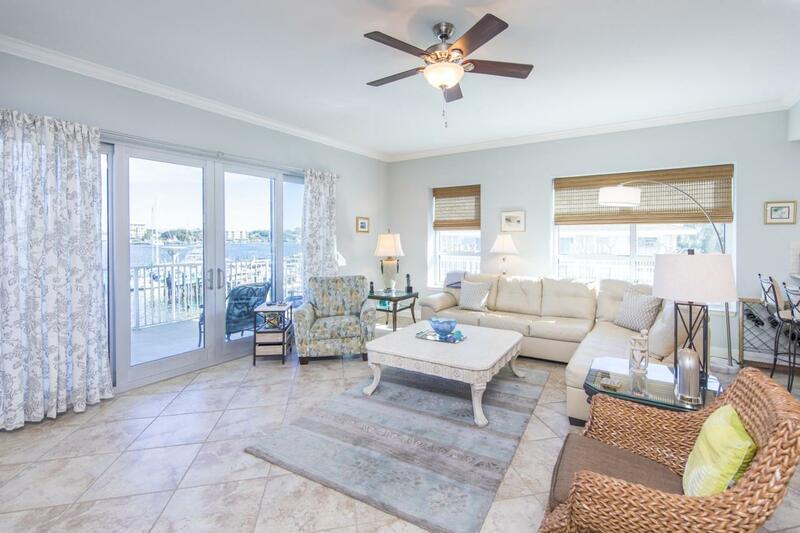 Don't miss out on this coveted 3BR/3BA condo at Harbor Lights! Positioned overlooking the Destin Harbor, this beautiful corner condo features new granite in the kitchen and bathrooms as well as recently-placed bamboo floors in the bedrooms. Other interior features include 10ft. ceilings, magnificent windows, and access to a terraced balcony with stunning views. Enjoy a luxurious master suite with large windows and a whirlpool tub, walk-in shower, and double vanity in the bathroom. Harbor Lights boasts excellent community amenities, with a common area, on-site conference room, and beautiful pool. You'll also have access to a fitness center with separate men's and women's locker rooms, a dry sauna, and a steam room. Don't miss out on this rare opportunity to own on the Destin Harbor!